The youngest Nobel laureate, Malala Yousafzai arrived in Pakistan late Wednesday night, after spending about six years abroad. During her stay in Pakistan, the 20-year-old, is likely to hold meetings with Prime Minister Shahid Khaqan Abbasi, Army Chief General Qamar Javed Bajwa, and other important figures. 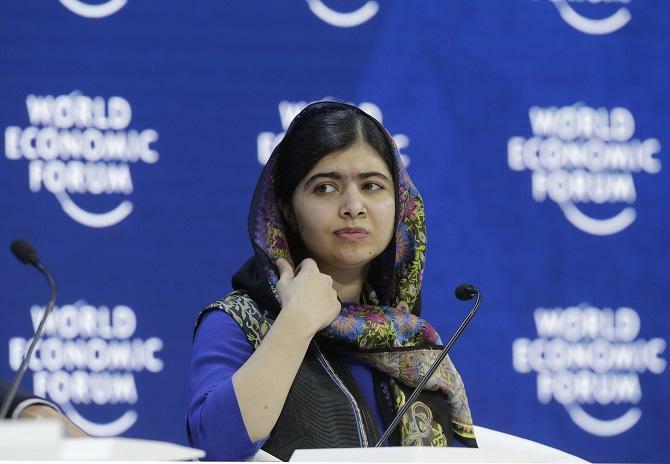 She will also participate in the ‘Meet the Malala’ programme, the report said. Further details have been “kept secret in view of the sensitivity surrounding the visit,” a government official said. The education activist was shot in the head in October 2012 by the Taliban gunmen for actively supporting girls’ right to education. The same year, she left Pakistan after surviving an assassination attempt by Taliban, as she was returning from school. She was hit in the head, but survived the attack and was airlifted to the Military Hospital Peshawar. Yousafzai was then shifted to London for further treatment. At the age of 17, Malala was awarded the Nobel Peace Prize for her contributions to and struggle for promoting education for children. She shared the prize with Kailash Satyarthi, a children’s rights activist. Malala is widely respected internationally for her bravery and activism, but opinion is divided in Pakistan where some conservatives view her as a Western agent on a mission to shame her country.